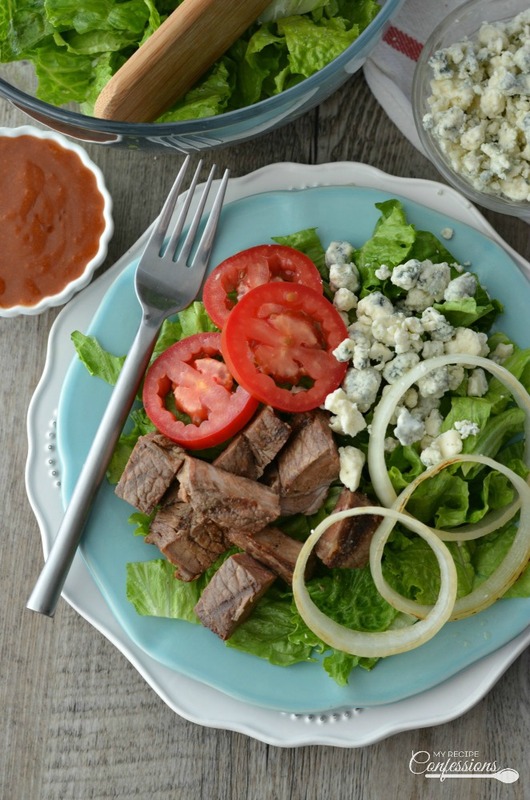 Grilled Steak and Blue Cheese Salad is a combination of a perfectly seasoned grilled steak, sauted onions, tomatoes, tangy homemade apple cider dressing, and blue cheese crumbles. All on a refreshing bed of romaine lettuce. This game changing salad can be on the table in less than 20 minutes. Mmm… steak! Whenever my husband and I go out to our favorite steakhouse, I love to enjoy a fresh garden salad before I dive into my juicy medium rare steak! So I thought, why not combine one of my favorite meals into one dish? Now I can have the best of both worlds, a juicy steak and a refreshing salad. 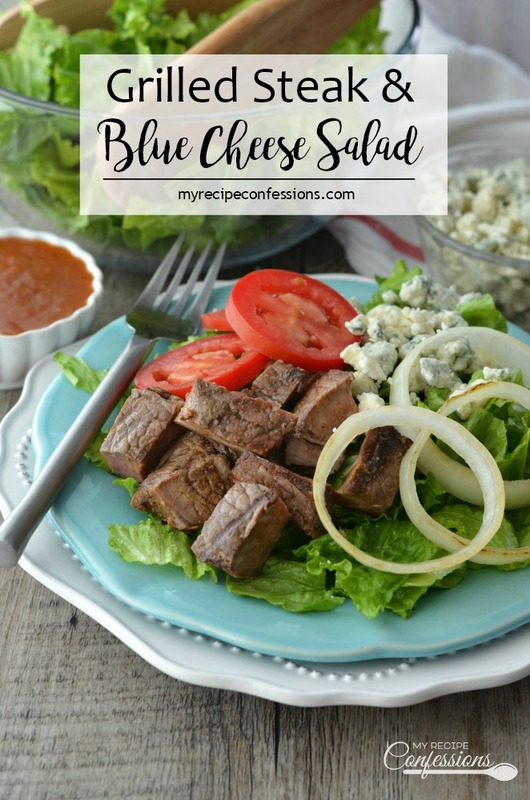 This Grilled Steak and Blue Cheese Salad is light and refreshing, yet manly enough that you can serve it for dinner without any complaints from the hubs! 1. Saute the onion rings in a saute pan with the olive oil until the onions are tender and translucent. 2. Brush 1 tbsp. of olive oil onto the steak. Mix the kosher salt, garlic powder, onion powder, and black pepper in a small bowl. Press the seasoning onto the steak and let the steak rest at room temparture for 20 minutes. 3.Grill the steak on a hot grill to your personal preference. Remove the steak from the grill and cover with tin foil and let it rest for 10 minutes. Slice the steak on an angle into thin strips. 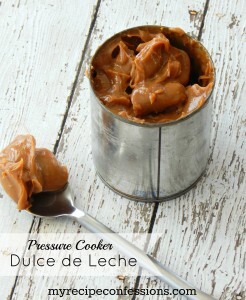 4.Place all the dressing ingredients together and whisk to combine. 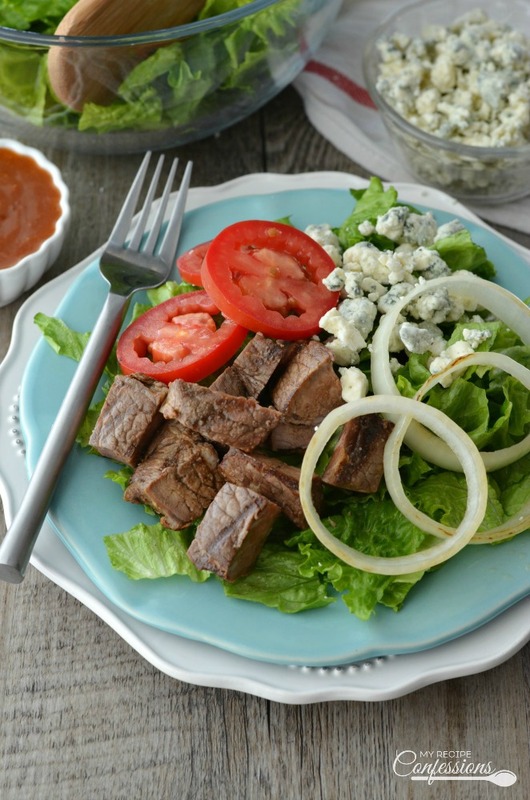 For two servings, divide the ingredients in half and layer the lettuce, saute onions, grilled steak strips, and blue cheese onto two plates and drizzle with the dressing. Serve immediantely. 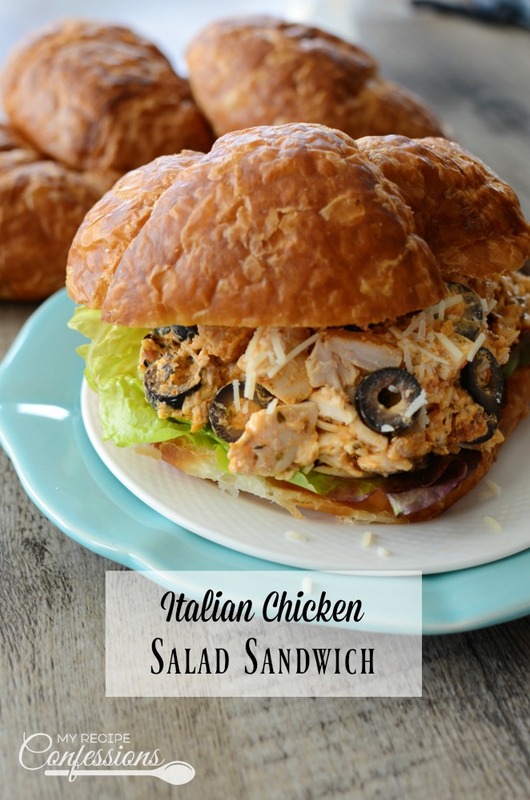 This recipe was originally posted on June 24, 2014. Argentine Empanadas have always been my favorite. 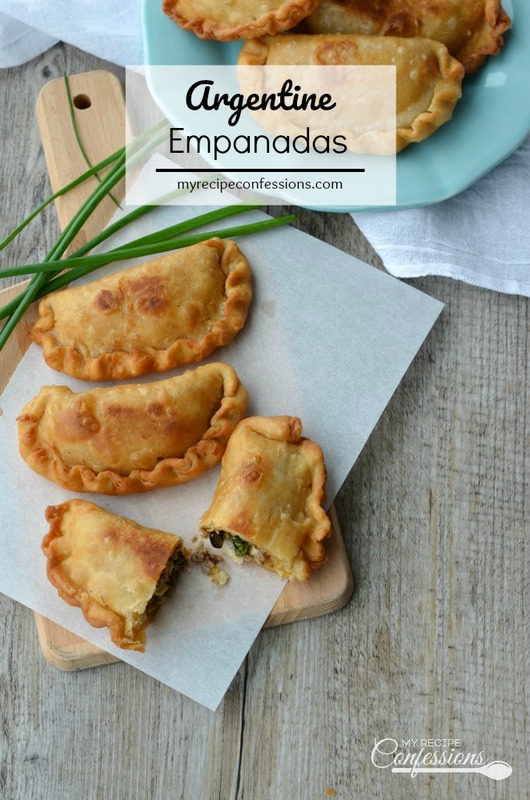 My mom is from Argentina and her homemade empanadas are amazing! The simple dough recipe results in a buttery, flaky crust and the beef filling is beyond delicious. While my siblings and I were growing up, you better believe that there was never any leftovers when we had empanadas for dinner. She usually made them a couple different ways. She made a few with raisins in the meat mixture. Most of my family didn’t like the raisins so she only made a few. Then she would make some with green olives in the meat mixture and some with black olives in the meat mixture. She would bake a batch and fry a batch. I will admit that my favorite way to eat Argentine Empanadas is fried, but they are still really good when they are baked. The great thing about this recipe is that the empanadas are not dry when they are baked. 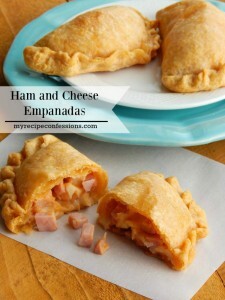 They are still juicy and flavorful with a delicious flaky crust. This dough is so yummy and flaky. Some people get intimidated by making the dough from scratch or think that a lot of time is being saved by using the pre-made discs. I promise that making the dough is very simple and it really doesn’t take that long to make. And it tastes a hundred times better than the per-made discs. One important trick to the perfect flaky dough is letting the dough chill in the fridge. I have made the dough the night before. 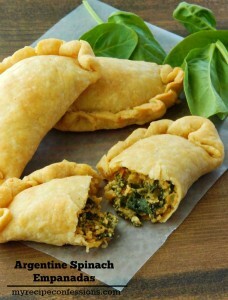 Just keep it in the fridge until you are ready to make the empanadas. 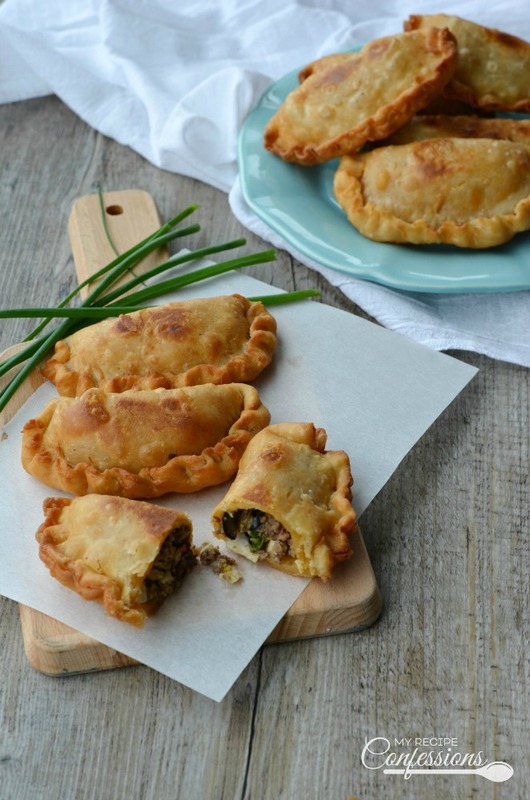 There are many different variations for empanadas depending on where you live in Argentina. 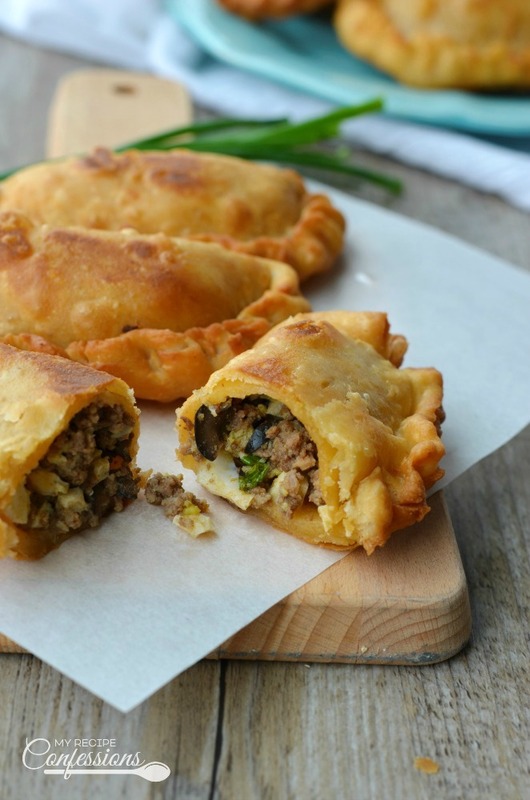 Many of the Central and South American counties make different variations of empanadas as well. I am pretty confident in saying that I have never had an empanada that I didn’t like. In fact, just thinking about them is making my mouth water! 1. Heat the water and butter in a saucepan over medium-high heat until butter is melted. 2. Mix flour, salt, and paprika in a large mixing bowl and make a well in the center of the flour. 3. Pour a little of the hot liquid in the well and mix. Pour the remaining liquid over the dough and mix well. Wrap the dough in plastic wrap and chill in the fridge for at least 2 hours. 1. In a pan over medium-high heat, brown the ground beef. 2. Stir the remaining ingredients into the ground beef. 1. Remove the chilled dough from the fridge and divide evenly into 12 sections. Roll into golf sized balls. 2. 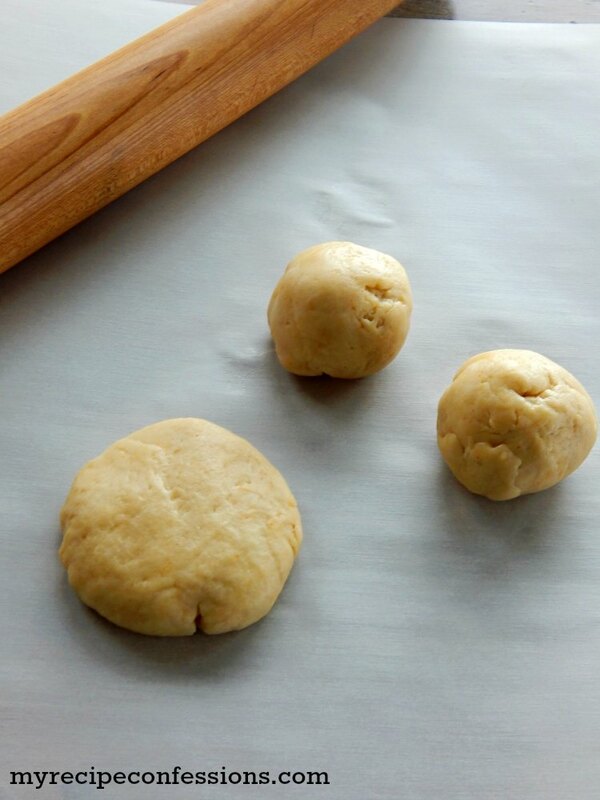 Roll each dough ball into a 5 inch circle. 3. Add 2 tbsp. of meat filling into the center of each circle. 4. 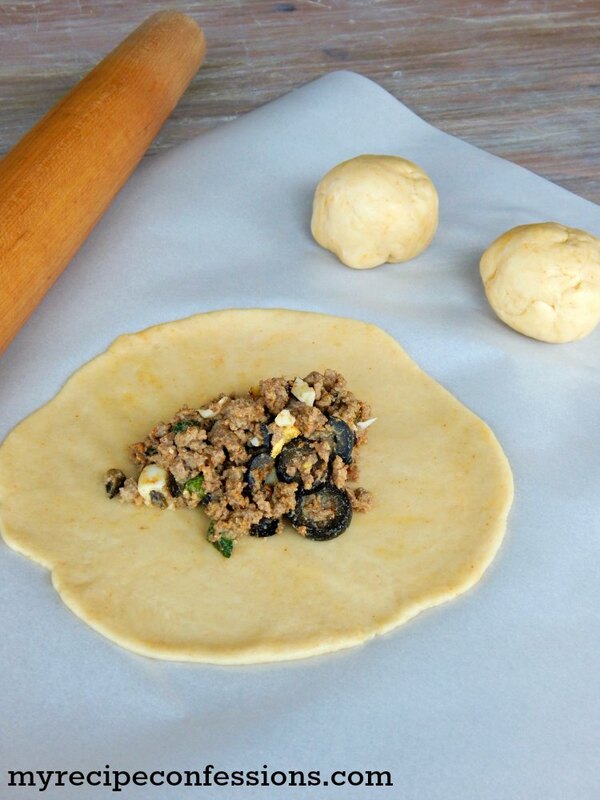 Fold half of the dough over the meat filling and press down the edges. 5. 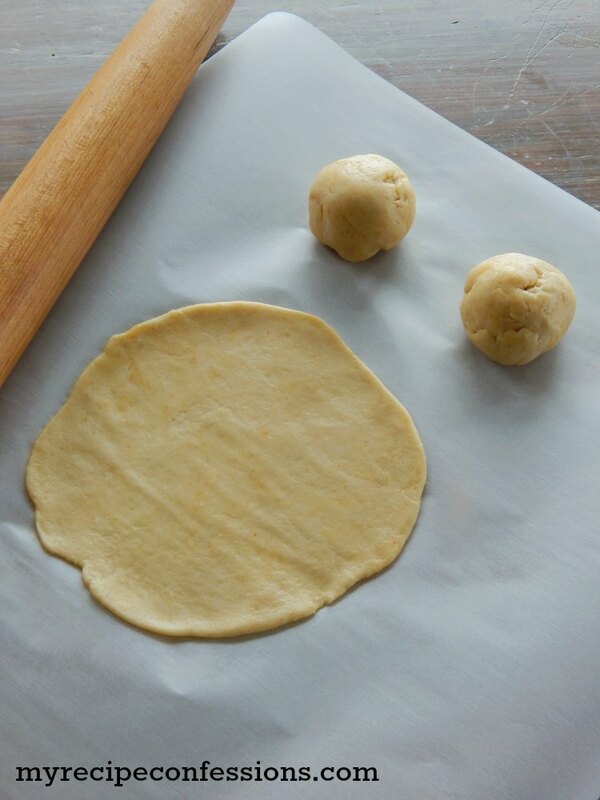 To seal the edges, twist a 1/2 inch section at a time of the dough and press down with your finger. Continue all the way around the empanada. 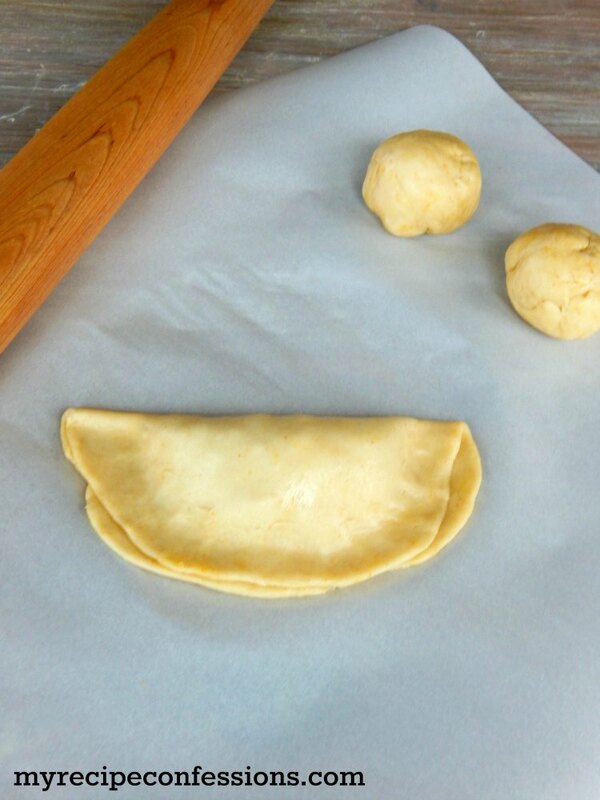 You can also seal the edges by pressing a fork around the edge of the empanada. 6. 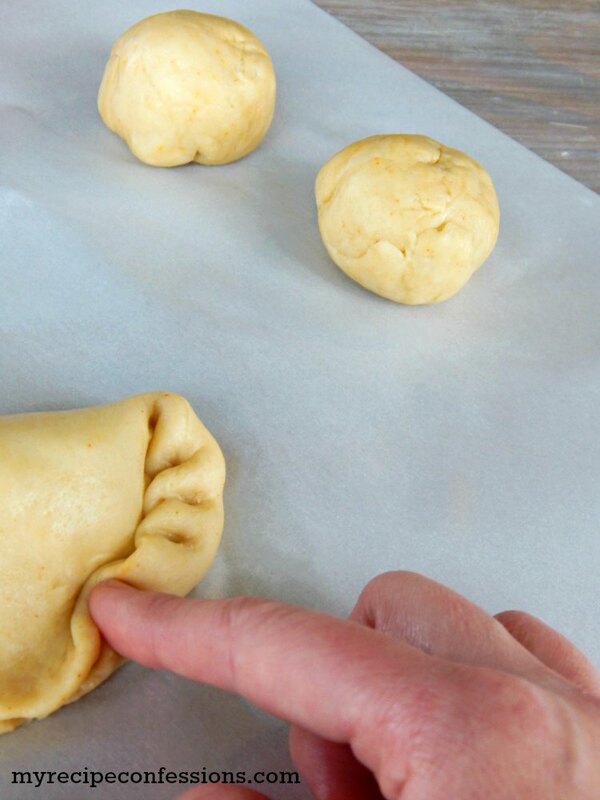 Place the empanadas 1 inch apart on a baking sheet sprayed with cooking spray. Place in the fridge for 30 minutes. Remove the chilled empanadas from the fridge and bake in oven at 400 degrees for 20 to 25 minutes or until the empanadas are a light golden brown. Fill a deep saucepan with canola oil to a 2 1/2 inch depth. Heat the oil over medium-high until hot but not smoking. Fry the empanadas until light golden brown and crispy turning over once. Place the cooked empanadas on a paper towel lined plate to drain the oil. * Be very careful while frying the empanadas. The oil will get very hot and can cause severe burns or even a fire. Make sure to keep children away from the stove. The oil can splatter and burn them. 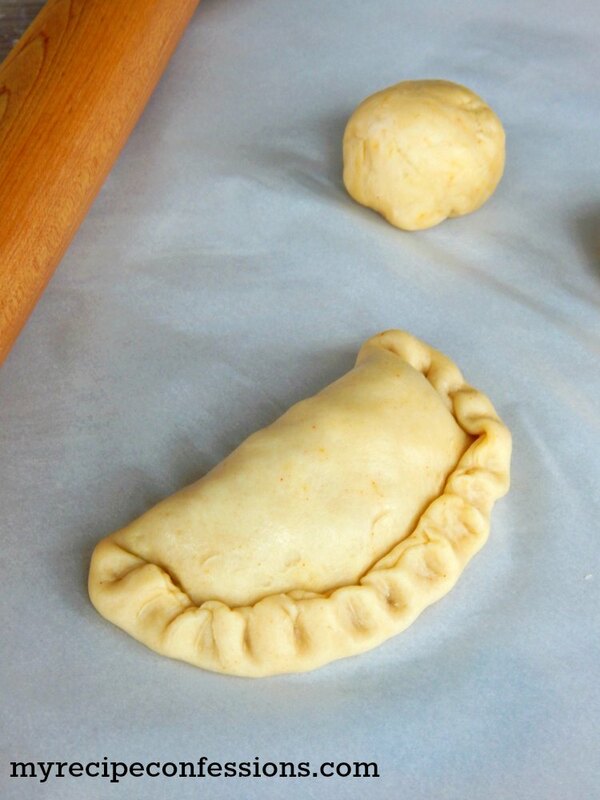 The empanada dough recipe is adapted from userealbutter.com. 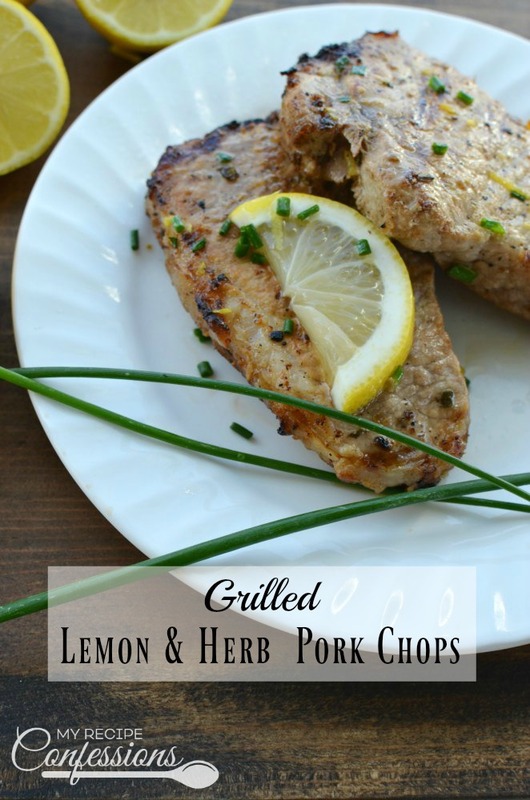 This recipe was originally posted on March 3, 2015. 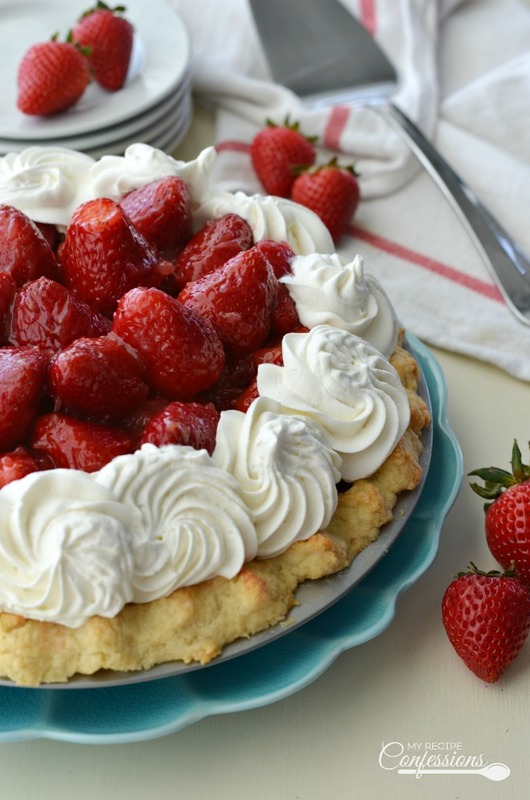 Fresh Strawberry Pie is the best way to enjoy strawberry season. The sweet and refreshing strawberries are piled high in a rich flaky pie crust and then topped with light and fluffy homemade whipped cream. 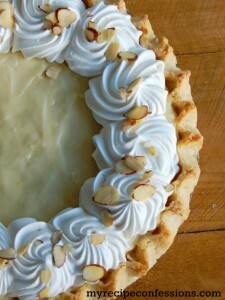 Whenever I make this pie, I always take a slice to my dad. He loves fresh strawberry pie. I can remember as a kid going to a restaurant for his birthday and the staff bringing out a strawberry pie and singing Happy Birthday to him. Then, we all had a slice of the pie. I remember not being too impressed with it and thinking strawberry pie just wasn’t my thing. What I didn’t realize at the time is that it was the pre-made glaze that I didn’t like, not the pie itself. Well, this recipe does not have pre-made glaze. The glaze is made from scratch and it is so simple to make! 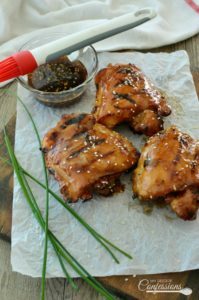 Instead of taking away from the fresh strawberry flavor like the pre-made glaze does, this glaze boosts the strawberry flavor even more. 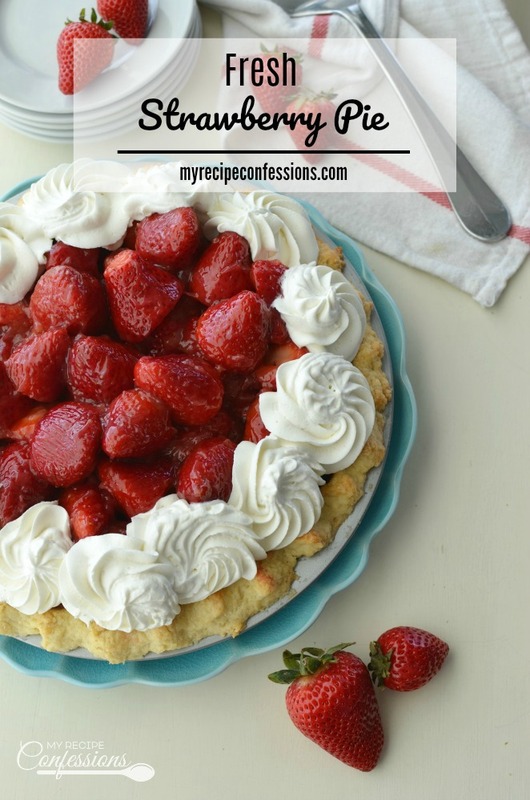 With the combination of homemade pie crust, fresh strawberries, homemade glaze, and homemade whipped cream, this pie is a recipe for instant happiness! 1. Combine 1 cup of sliced strawberries and 2/3 cups of water in a medium-sized pan. Over medium-high heat, bring to a boil and simmer for 3 minutes. Mash the strawberries with a wooden spoon and turn the heat down to medium-low heat. 2. In a bowl, mix the remaining 1/3 cup of water with the sugar and cornstarch. Whisk in sugar/cornstarch mixture into the hot strawberries mixture. Simmer the mixture for 3 to 4 minutes until thickened and translucent. Cool completely. 3. Gently toss the remaining strawberries into the strawberry glaze. Pour the strawberry mixture into the pie crust. Place some plastic wrap over the pie. Place it in the fridge to set up for 2 hours. 4. Beat the Heavy cream, 1/4 cup sugar, and vanilla extract in a medium-sized bowl until it forms stiff peaks. Pipe the whipped cream onto the strawberry pie and serve. 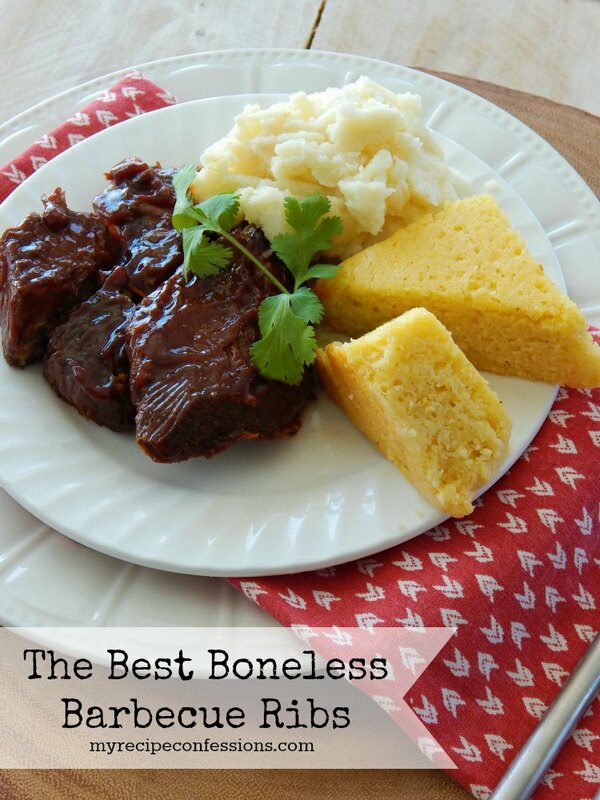 This recipe was originally posted on May 13, 2014. 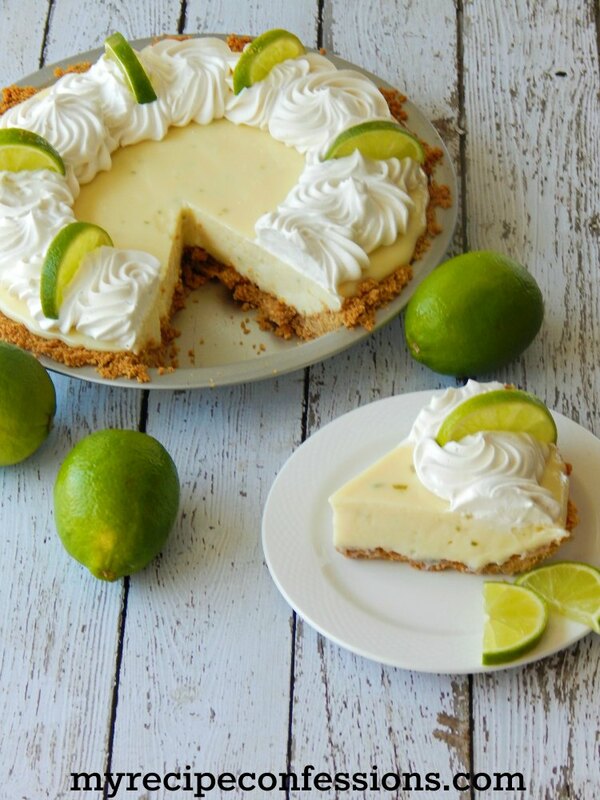 Here are a few other pie recipes you might enjoy. Fresh Strawberry Pie is the BEST pie ever! The fresh sliced strawberries and the homemade glaze is incredibly amazing! 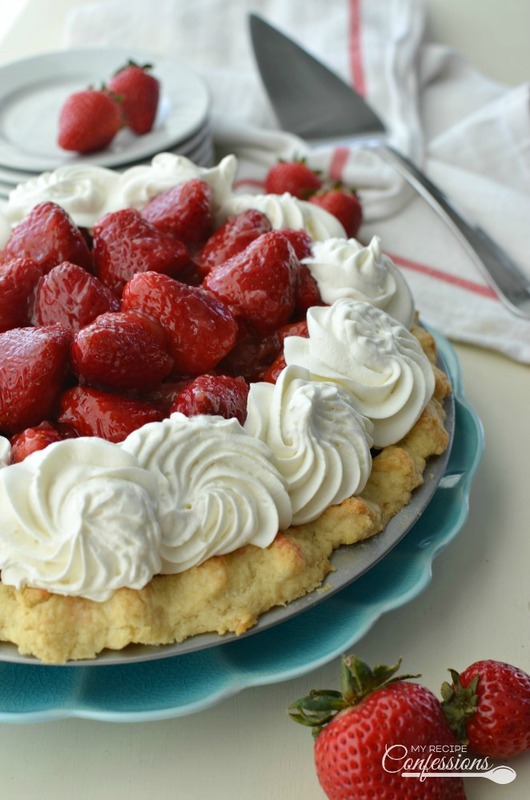 The strawberry filling and flaky crust topped with whipped cream makes this pie the BEST there is! Lemon Cheesecake Ice Cream Sandwich is a sweet and refreshing treat. 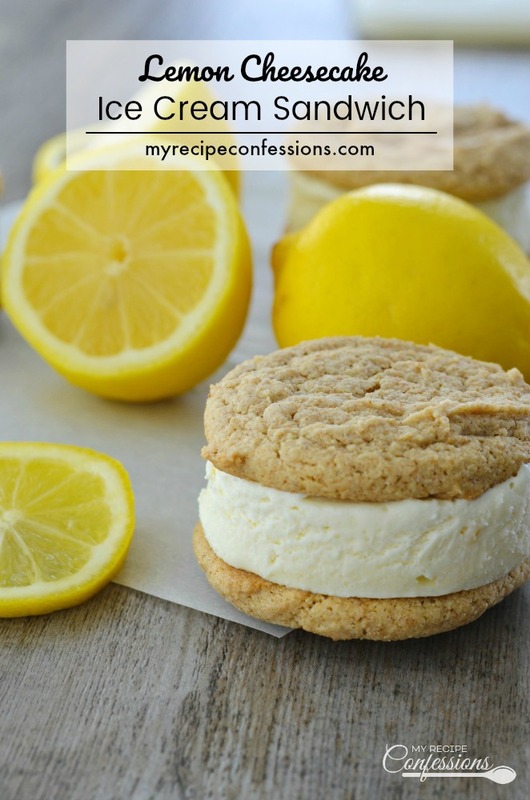 The bright and vibrant lemon ice cream sandwiched between the soft and chewy graham cookies taste just like you are biting into a slice of lemon cheesecake! 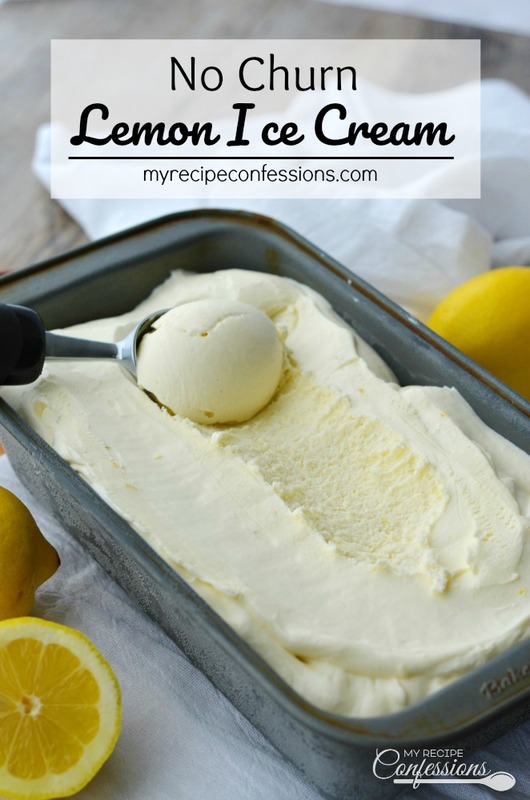 No Churn Lemon Ice Cream is a gift from Heaven! This ice cream has a creamy custard-like texture and a refreshing vibrant lemon flavor that will leave you breathless. To top it off, you don’t need an ice cream maker to whip up this heavenly goodness. 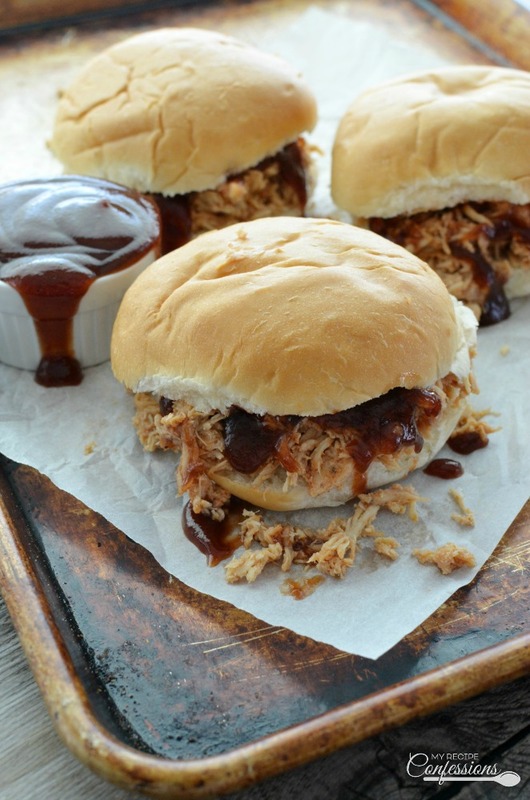 All you need is a freezer and a few minutes to spare. It is really is that easy! 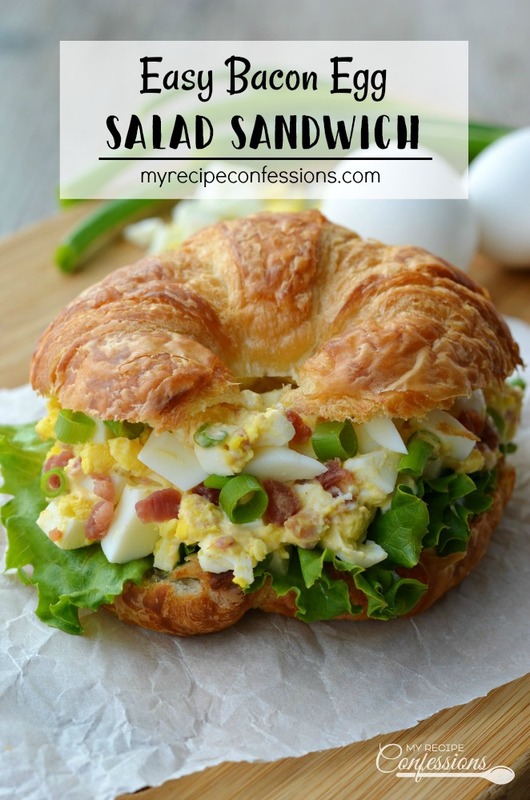 Easy Bacon Egg Salad Sandwich is a creamy and very flavorful sandwich. Then again, how can you go wrong with bacon? 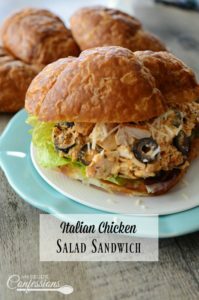 It is the perfect sandwich to serve for at your Easter brunch or Springtime picnic. It is a great way to use all the colored eggs your kids color. With Easter quickly coming up, I have eggs on my mind. If you are like me, you are always at a loss as to what to do with all the boiled eggs after the kids are done dying them. I can only eat one plain boiled egg before I have had enough. 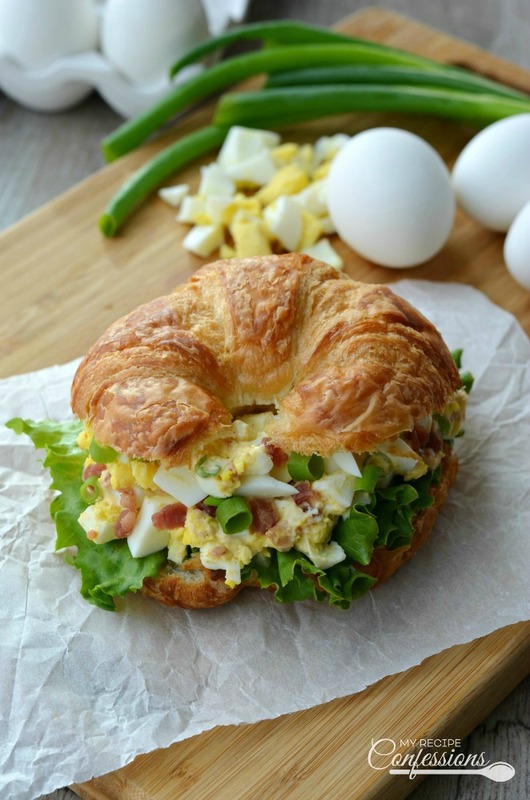 I can’t think of a better way to use all the left over Easter eggs than with a Easy Bacon Egg Salad Sandwich! 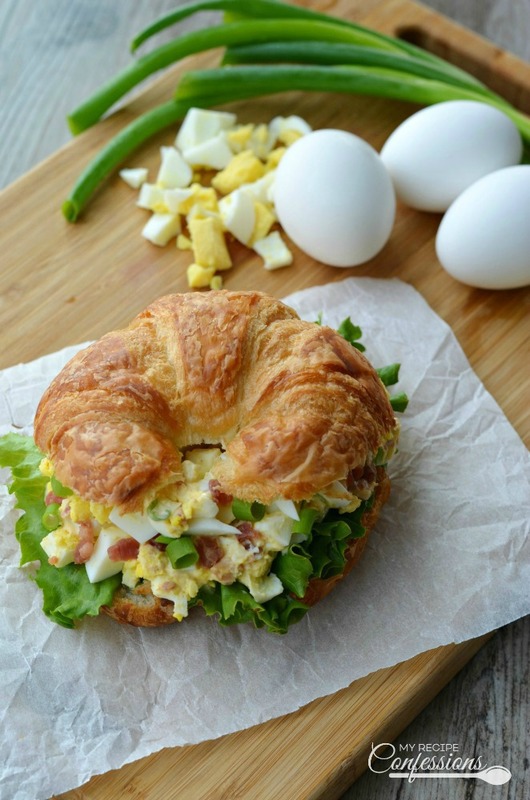 So this year one of the things I am going to make is this Easy Bacon Egg Salad Sandwich with all the leftover eggs. My family really enjoys this recipe. Seriously, how can you go wrong with bacon and eggs together in one sandwich. It certainly sounds like heaven to me! 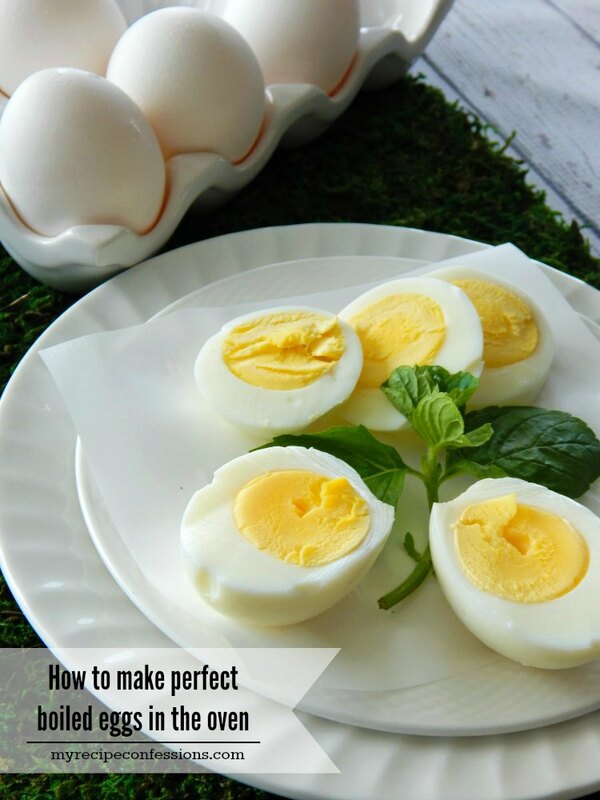 Before you make your hard boiled eggs, check out these amazing methods for perfect hard boiled eggs. 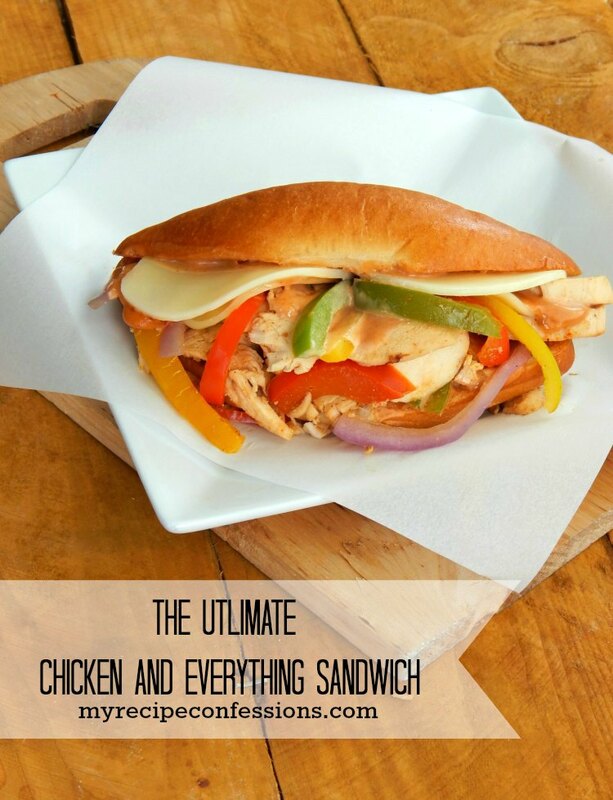 This recipe was originally published on March 19, 2015. 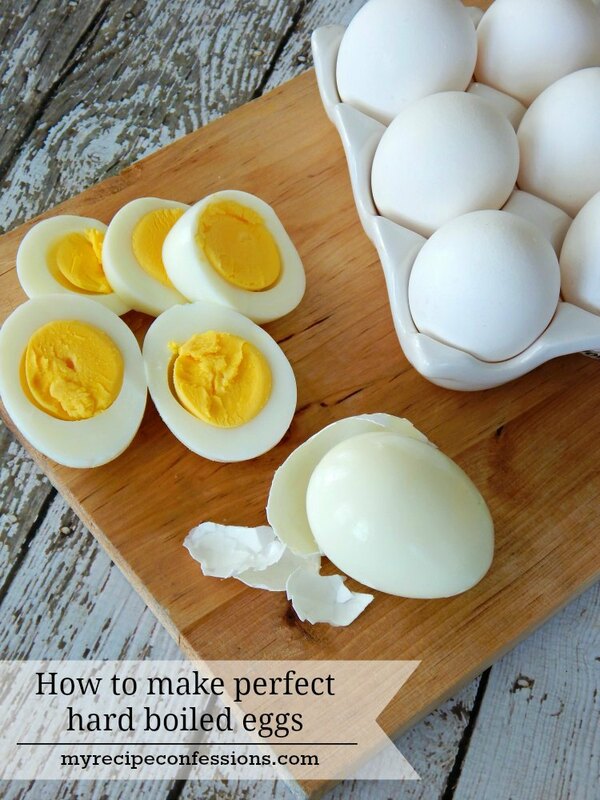 How to Make Perfect Hard Boiled Eggs in the Oven. 1. In a medium-sized bowl, cream the mayonnaise and the cream cheese together. Remove the peels from the hard boiled eggs. Remove the yolk from 4 of the eggs and mash. Stir the mashed egg yolk and the smoked paprika into the cream cheese mixture. Chop up the remaining eggs. 2. 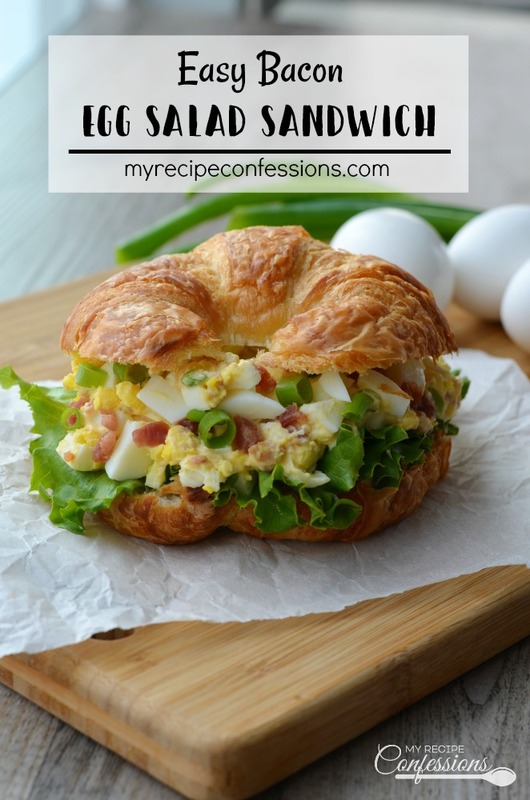 Fold the chopped eggs, green onions, and bacon into the cream cheese mixture. Chill in the fridge for up to 30 minutes before serving. 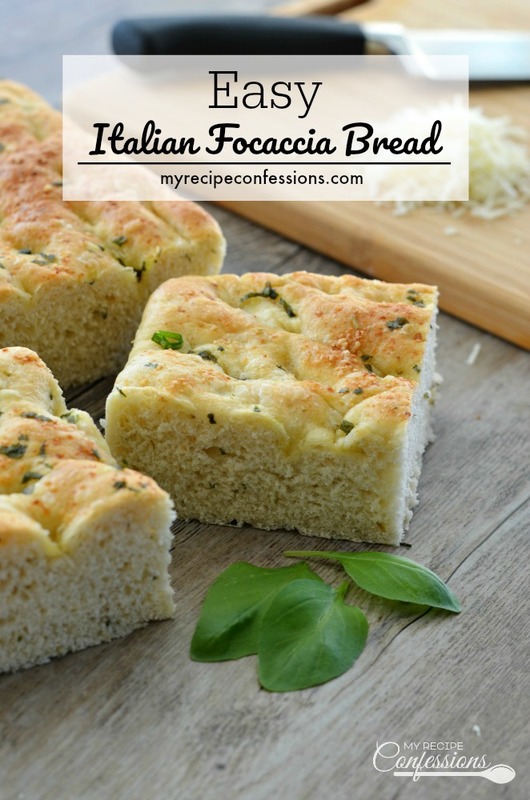 Easy Italian Focaccia Bread is not just bread with olive oil. This bread is loaded with Italian herbs and parmesan cheese. It is then topped with more herbs, parmesan cheese, and flaky kosher salt. This bread is absolutely breathtaking! Easy Classic Fruit Pizza is a classic yet simple recipe. The soft sugar cookie crust, creamy cheesecake frosting, and juicy sliced fruit is bursting with flavor. 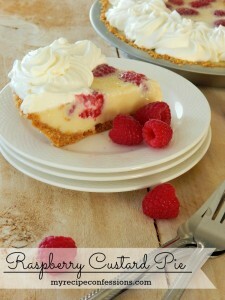 This gorgeous dessert is absolutely divine! 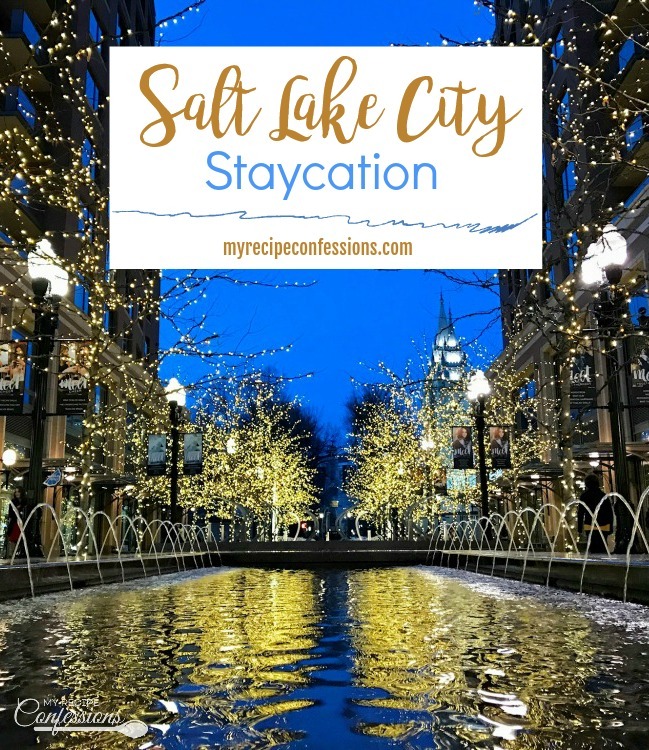 Salt Lake City Staycation is a list of fun and affordable things to do the next time you find yourself in Salt Lake City. Grandma’s Super Soft Sugar Cookies, are so soft and chewy with the perfect vanilla flavor and not to mention they are super easy to make. 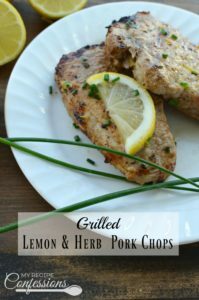 I get asked for this recipe every time I make them. 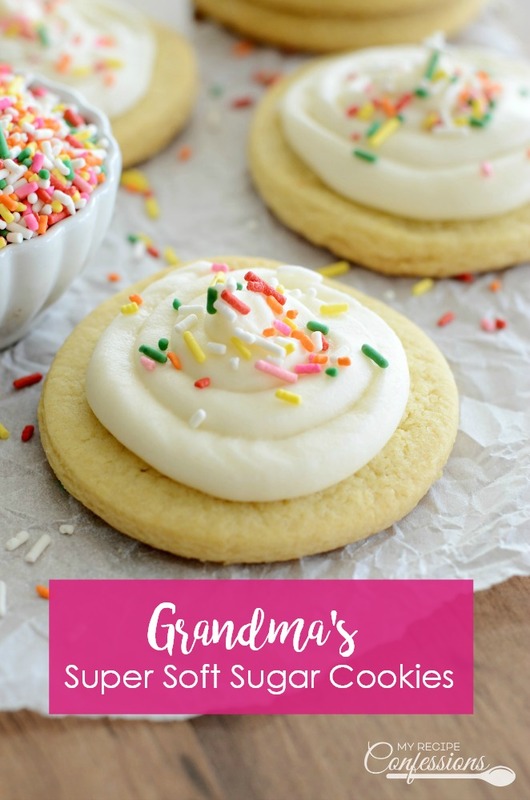 Sugar Cookies are my favorite and these Grandma’s Super Soft Sugar Cookies are my biggest weakness! Growing up my mom always baked our sugar cookies until they were crispy. That was my favorite way to eat sugar cookies until I tasted a soft and chewy sugar cookie. After the first bite, I was hooked and I have been making soft and chewy sugar cookies ever since.